I am not currently teaching group yoga classes. Please contact me to book a private lesson. My goal is to teach yoga that is effective, therapeutic, and sustainable. I work to meet students as individuals and teach them the yoga best suited to their needs. I believe yoga is both art and science, and good teaching emphasizes both form and function. My teaching incorporates hands on adjustments, verbal cueing, bad yoga jokes, visual demonstration, and the use of props. 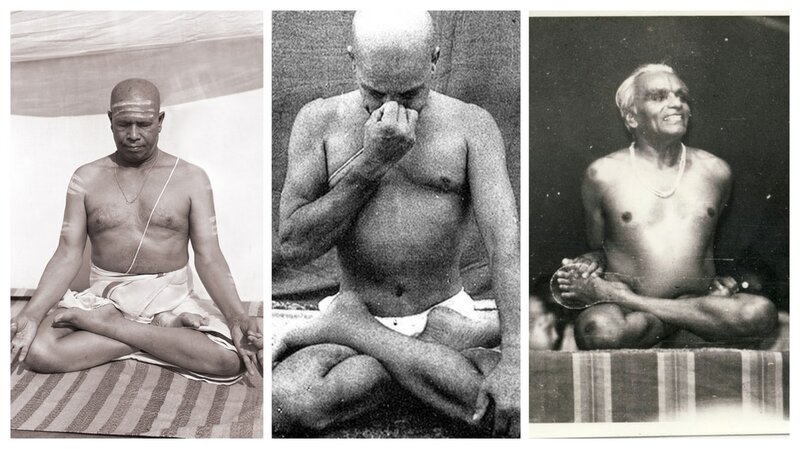 Ashtanga Yoga is a system of yoga taught and propagated by the late Sri K. Pattbhi Jois of Mysore, South India for over 60 years until his death in 2009. The Ashtanga practice consists of set sequences of postures that are linked together via choreographed breathing, and specified gazing points. The postures, breathing, and gazing points form the three pillars of Ashtanga Yoga, working to simultaneously train, and purify the physical body, the nervous system, and the mind. With repeated, and consistent practice of the sequences the meditative aspects of Ashtanga Yoga begin to arise. Ashtanga Yoga is traditionally taught in a class style called "Mysore" in which students work independently on the particular series of postures that is most appropriate for them. Mysore style teaching can very simply be described as individual instruction within a group setting. The teacher assists, adjusts, and discusses particular difficulties or concerns with individual students during class. The Mysore approach allows students to practice at their own pace, and progress based on their own unique abilities. Over time students develop independence within, and responsibility for their practice, through repetition the yoga becomes deeply ingrained. Because Mysore style practice is self paced this style of learning is ideal for all levels of practitioners.